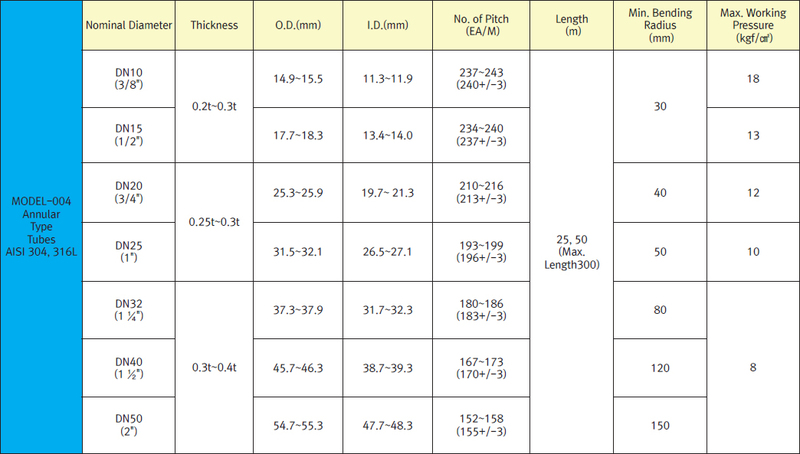 Dong-A’s stainless steel corrugated tubes, which are approved by UL(USA), RWTUV(Germany) and are certified as quality products with NET, KS(KSD3628) by the Korean government, are supplied in a roll up to 1,200m for easy speedy inexpensive installation. 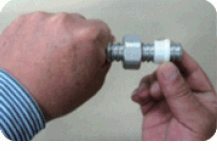 As no connecting point exists on the tubes except both ends of the tube, there is no fear of leakage. 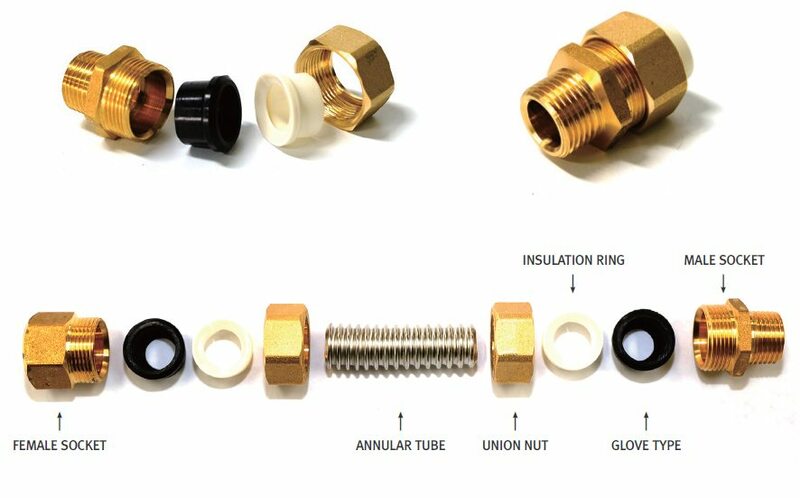 The screw-in type connection with NBR, EPDM, Silicon, or Copper packing doesn’t require any tool for installation. 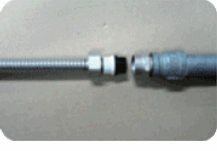 Cut tube with stainless steel tube at right angle to tube center axis. Make sure the cut end to be clean and flat with no burr. Put union nut onto tube. 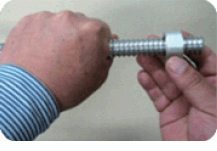 Make sure the thread side of the nut to face tube-end. Open wide insulation ring to put on the 3rd valley of tube from cut-end. 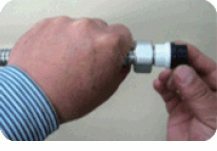 Put sealant on tapered thread of socket, then screw the socket into piping system (eg. 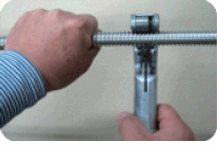 Tee, Boiler) with high torque using a crescent wrench. 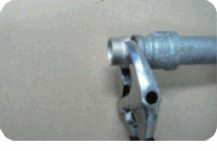 Put a whole set of tube+insulation+glove packing into tapered hold of socket. 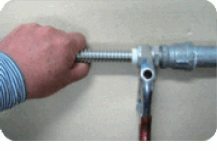 Tighten the union nut onto parallel male thread of socket using a crescent wrench with hight torque. 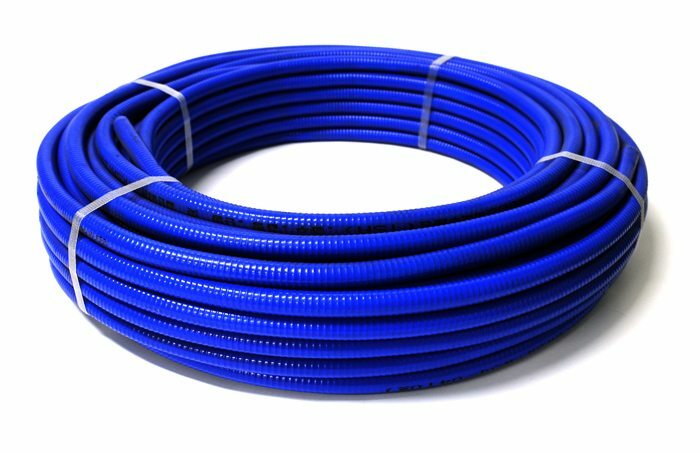 Warning : DO NOT use sealant on parallel thread!